The Stirtec G-2318 is our largest standard machine with x-y-z traverse lengths of 2300 x 1500 x 1050, but larger and higher variants are also possible due to its modular design. 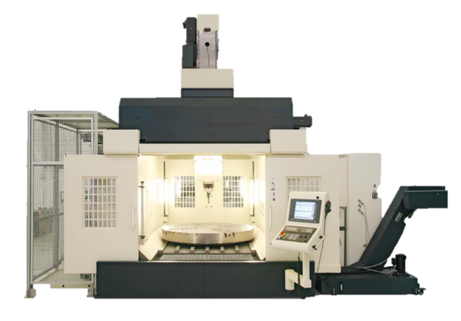 The Stirtec G-WMC22318 Gantry Welding and Machining Centre is a large mahine for friction stir welding and CNC milling. Very thick workpieces and those made from high-strength aluminium alloys can be friction stir welded with a force of up to 35 kN (3,5 t) with very high speed. AluStir can also supply very large special purpose gantry machines using the well established modules.